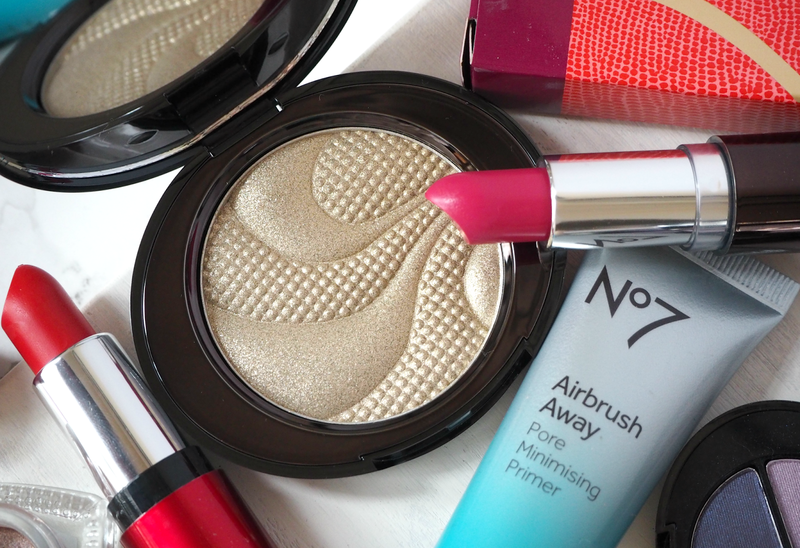 I started off with my usual base routine, using the new No7 Airbrush Away Foundation (£16.50) which is light as air and creates a really beautiful finish. It blurs away pores, fine lines and imperfections to leave a really natural result that keeps the focus on eyes and lips. Although the pipette applicator is a little fiddly, the 14 shades on offer ensure a perfect match and professional finish. I completed both mine and Gemma’s looks with a touch of concealer around the eyes, a dusting of bronzer along the cheekbones and a sprinkle of the new No7 Shimmering Glow Palette (£12.50) that’s been launched for Christmas. It may look a bit scary in the pot, but a light dusting on the areas that naturally catch the light provides radiance that really lifts any look; a first paddle into the realm of colour – even if it was gold! 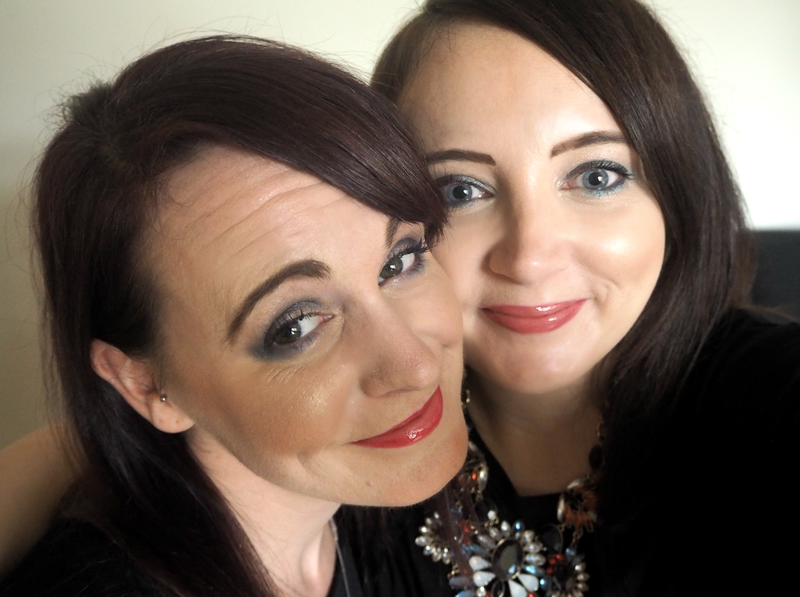 After filling in our brows with No7’s Beautiful Eyebrows Kit (£12.65) which contains two shades of pigmented shadow, a wax to fix stray hairs and a highlighter to lift the brow arch, we started to get serious with colour. The new Stay Perfect Eye Shimmer is perfect for creating a base colour that glistens, but also helps colours applied on top to ‘pop’; the creamy texture is just beautiful, making this £8.00 pot a must-have ahead of the party season. I applied this all over the lid and blended out towards the tops of my cheekbones, then buffing Stay Perfect Eyeshadow (£7.50) in ‘Turquoise’ into my lid and around my lashline using a short-bristled brush; I haven’t worn such a bold colour in at least three years, but I was surprised how much I liked the finish when worn in a more modern way (rather than just on the top lid.) To finish it off and ensure it was a bit more winter appropriate, I paired the turquoise with a touch of Navy from the Stay Perfect Eyeshadow Trio (£9.50) in ‘In The Navy’. Using a more precise brush, I packed the colour around my lash line and blended it into the turquoise. 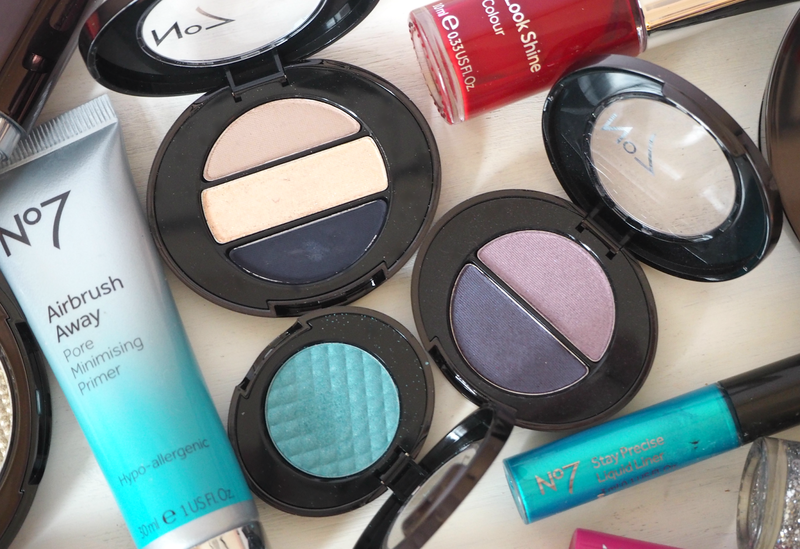 I would have never have thought to do this before, but I blooming love it – especially as the tones help my blue eyes to pop, and navy is a much warmer alternative to my usual black. 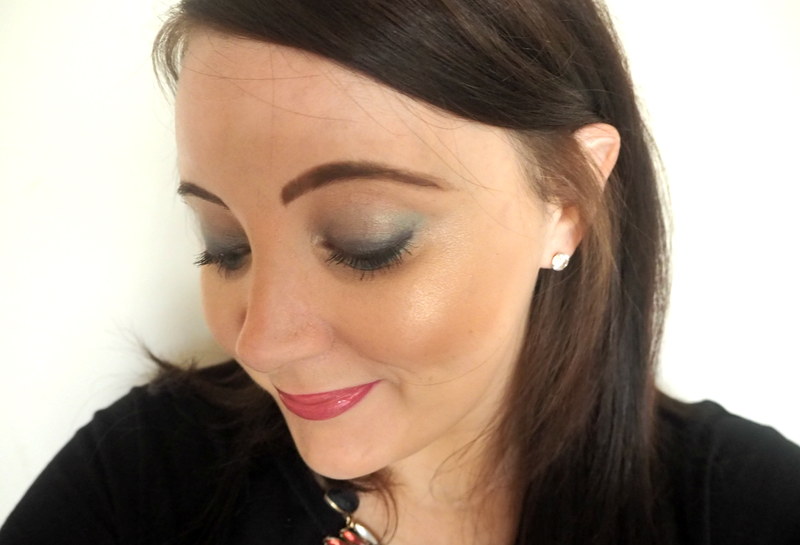 When it came to Gemma we opted for the same base products and amazingly versatile Stay Perfect Eye Shimmer (£8.00,) but switched up my bold and bright eye combo for something a little different. I used the dark purple shade from the Stay Perfect Eyeshadow Duo (£8.50) in ‘Night Out’ all over the lid and around the lashline, taking the colour out towards the top of the cheekbones. Not one for smokey eyes or much other than a touch of black liner, a purple shade and such a bold look was a real departure for Gem. 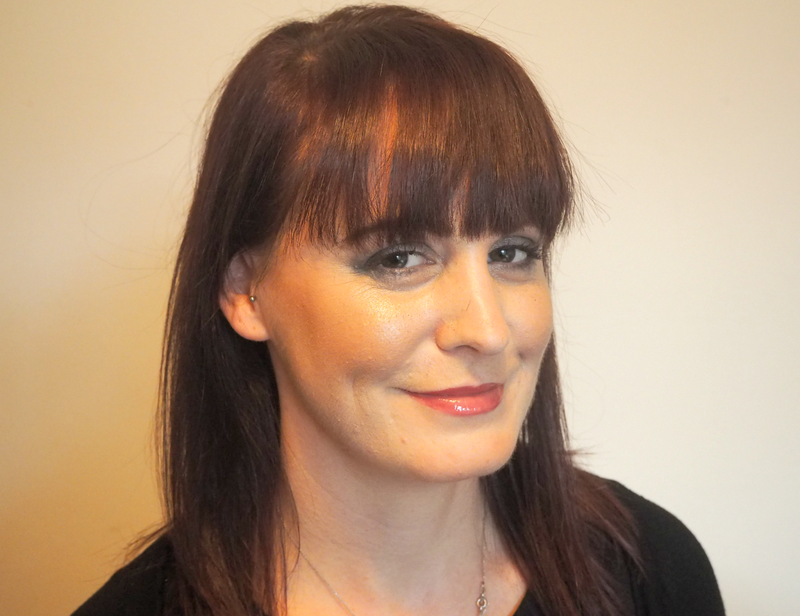 She’s always thought that too much product on her small features would overwhelm her, but this is proof it can actually work exceedingly well – all she needed was a little confidence. To finish off the look I added a touch of the limited edition Moisture Drench Lipstick (£9.95) in ‘Pillarbox’, blotting the excess away to just delicately stain the lips before applying a layer of transparent gloss. We may think we know the makeup rules (including focusing on the lips OR eyes,) but shaking them up a bit never did anyone any harm. I love the result of adding warmth to the lips and darkness to the eyes. Although I won’t be applying bright blues and pinks to pick up my morning coffee, I will definitely be embracing colour in a whole new way in the coming months thanks to this little challenge. 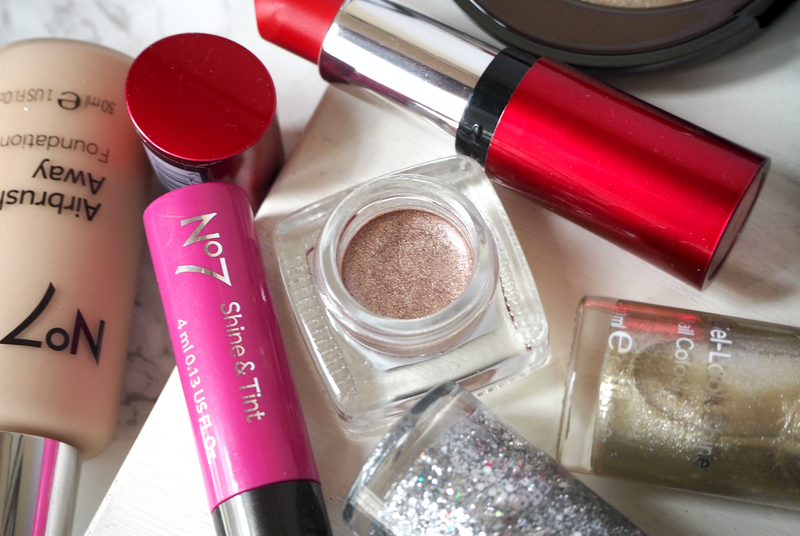 As the nights draw in it’s easy to revert back to dark shades and smokey tones, but adding a touch of colour or a pop of brightness can really lift a look while helping us to express ourselves through the medium of makeup. (Because that’s what it’s all about right?) I’m going to be switching up my blacks and greys for navy, purple and turquoise, while I think I’ve encouraged Gemma to start wearing a little lippie to match her Louboutins. If you’re inspired to do the same, you can get involved in this new campaign too by uploading your makeup looks to Twitter and Instagram using the hashtag #ColourYourWay – and you may even appear on the Boots website! So put down the nudes and pick up those colours you may have thought you’ve outgrown. Colour your way, because your way is the best way! PS: Sorry for the awful photos; what is with this Autumn lighting? It makes everything look orange! 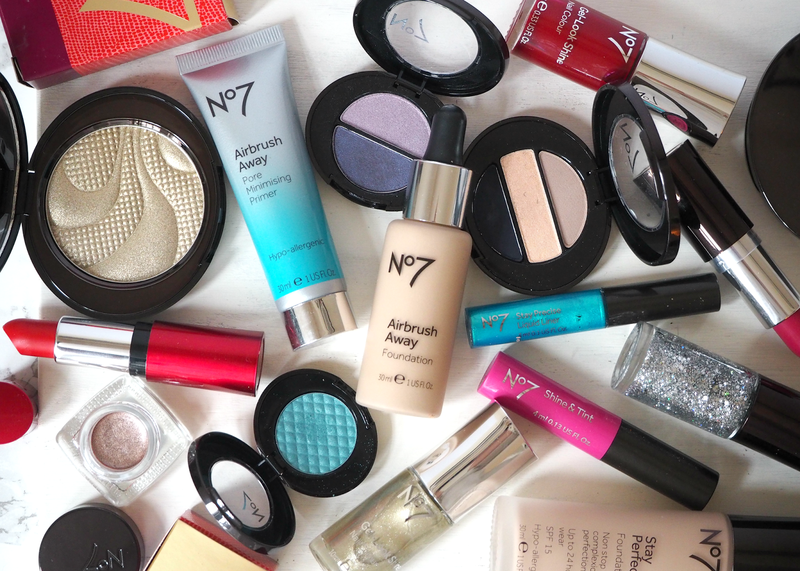 This is a sponsored post on behalf of Boots No7. All opinions are my own. Previous Post LET’S TALK ECZEMA: WHAT IS IT, WHY DOES IT HAPPEN & WHAT CAN YOU DO ABOUT IT?